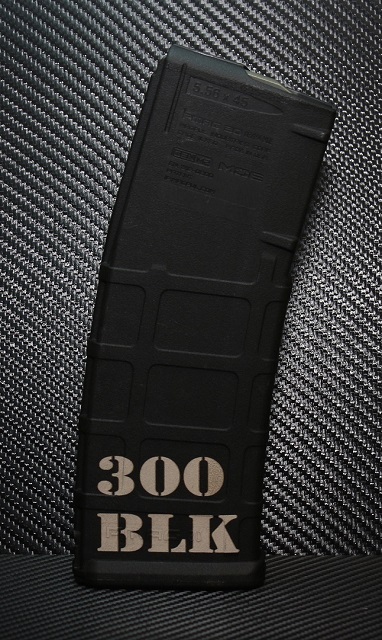 Finally, the option to get exactly what you want on a custom Magpul PMAG is available at a reasonable price. 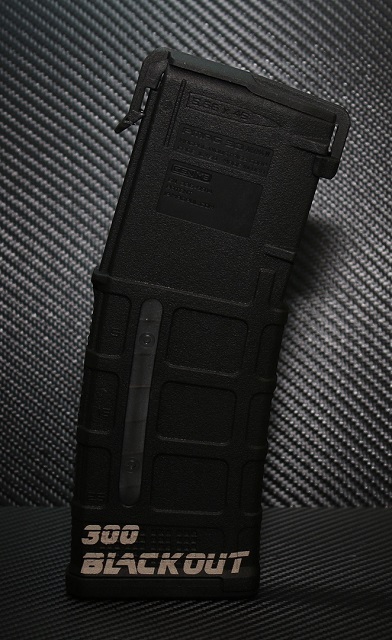 These AR15 PMAGs are engraved with an industrial laser that reacts with the polymer to create a bright image on your magazine. Don't settle for the inferior PMAGs that look dull and tarnished, get the real deal here. Perfect for showing off your new rifle, rekindling some love for an older one, or helping you differentiate different calibers in your collection. 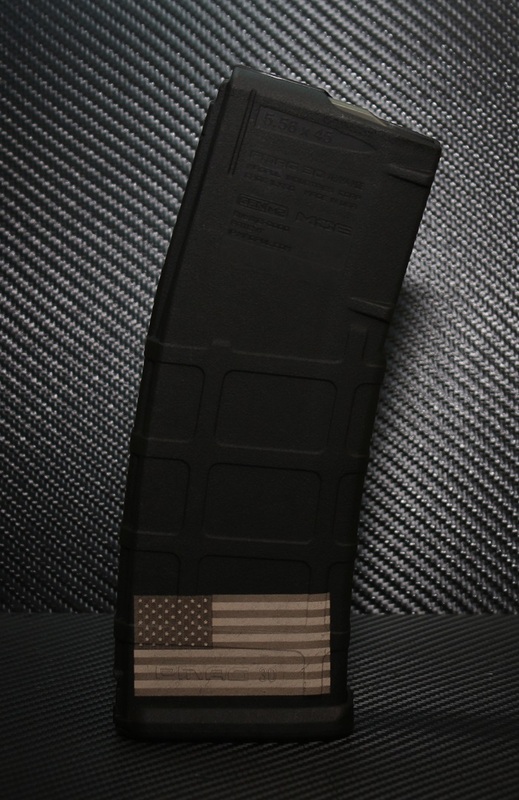 These PMAGs are sure to start conversations every time you pull your AR out. Practical applications include keeping your calibers straight so you load the right ammo, or designating your AR from others at the range, especially for LEO/Military guys where every rifle looks the same. Throw up some propaganda sure to raise morale on your next trip to the range or out back for some fun! We keep the most popular PMAG variants in stock as we are able, select from 10, 20, 30, and windowed models. Keep in mind that the 10rd and windowed version will have significantly less area to engrave. We want to make the process as easy as possible and make sure your PMAG turns out just like you want. We have very high standards and your dust cover final product quality is determined by the graphic quality you send us. Here are a few guidelines and recommendations. -Color vs. Grayscale vs. Black and White - the engraving process only engraves in 2 bit black and white. For the cleanest and best looking engravings, we recommend using black and white images only. Black and white images have NO GRAY, SHADING, SHADOW, FADING, or other effects. If you are still unsure, the image below is an example of pure black and white. We can use grayscale images, but the detail you see on your computer screen generally doesn't fully translate to the engraving. -Resolution - If your image is grainy and pixilated, your engraving will probably look worse. The more detail in your image, the better the image we prefer in order to get a good clean capture to transfer to our engraving machine. Also keep in mind the size of the dust cover, if we try to take a highly detailed image and shrink it down to 1/2" tall, we will lose a lot of the detail. A simple test if you are able is to take your image and shrink it down to 1/2" tall and print it out on your printer, if you can make it out, it will probably be ok.
-Pictures - Please do not send us pictures of items with graphics on them and ask us to use the graphic on the item. We will need the actual graphic and not a picture of the graphic on something else. 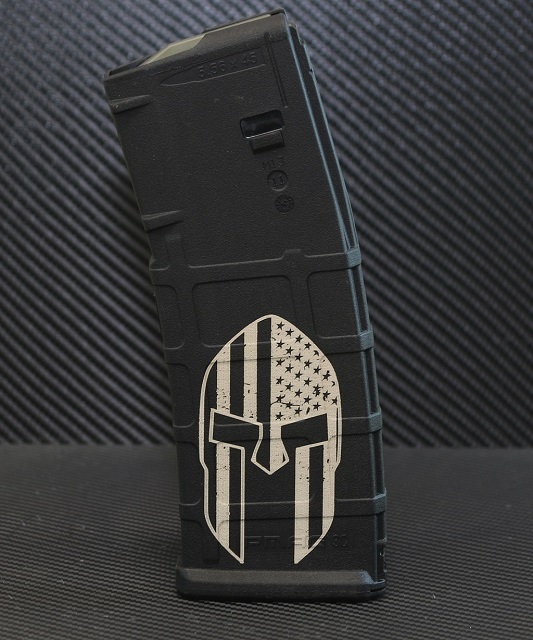 We want your PMAG engraving to be a piece of art and to enhance your AR, and a little bit of preparation on your part can help ensure the process goes smoothly and the end result is something you can be proud to display on your rifle. If you have any questions please do not hesitate to contact us. LEGAL: We will not ship where prohibited by law. The customer service Is amazing, replies to emails are very fast. The item ordered was a custom AR Amat with a logo and name. At first I was hesitant because I thought it would not come out as i’d Like, I received the item and I was amazed at the quality and precision. I was so happy I ordered three more! -very satisfied!! I got drunk one night and decided I needed to have a P-MAG with Kate Upton on it...yeah, I know, I need to stop drinking Jack and surfing the web. I contacted the folks at CustomDustCover and they helped me out a ton. I sent them a vectored image of Kate and they had the finished product out the door in no time. I am blown away by the quality of the engraving; I didn't expect them to dual-engrave it, but they did, which was an awesome bonus. I definitely recommend these folks for your engraving needs! I am very pleased with my purchase. My magazine came quickly and the design was very crisp and detailed. well done amazing quality order from these guys twice now and both time have been impressed. The magazine was better than expected. Mags are great! We need custom logos and they turned out perfect! So happy we chose Custom AR Dust Covers! Their service is top notch!